It’s hard to know what’s more extraordinary about Maryla Jonas: her life or her music-making? Born in 1911, she entered the Warsaw Conservatoire at just 11 years of age. In her twenties she took lessons from both Ignaz Paderewski and then Emil von Sauer: two great inheritors from Liszt of the Romantic piano tradition. Her concert career in Poland was caught short by the Nazi occupation of Poland. Her family was killed and she was imprisoned for seven months and interrogated by the Gestapo before being freed by a music-loving Nazi officer, who advised her to flee to the Brazilian Embassy in Berlin. This she did – by walking the 400 miles and sleeping in barns along the way – and escaped to Rio de Janeiro. At the urging of Arthur Rubinstein she resumed her career and became a sensation in postwar America before her early death in 1950: she was 48 years old but had suffered from ill health for some years, partly as a result of her wartime tribulations. Her slim recorded legacy dates from this brief window of fame and opportunity. 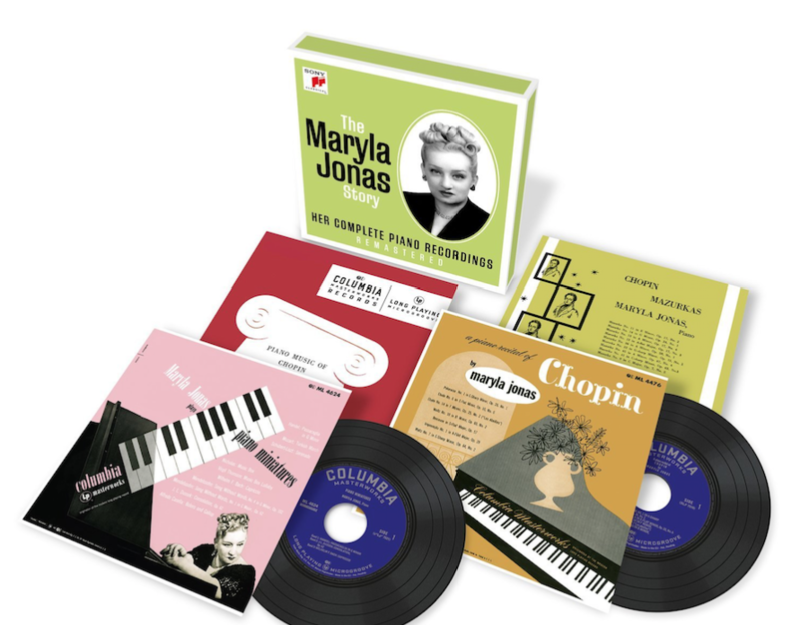 Portions of it have previously appeared on various historical labels, but Sony has now gathered together all the studio recordings she made in the US, given them new remasterings and issued them in a 4CD box which will attract the attention of pianophiles everywhere. You can hear Maryla Jonas play Chopin’s Berceuse with the next issue of Pianist. It comes free as an exclusive bonus track, just for us, with thanks to Sony Classical. A great incentive to pick up a copy – available 29 September!